Global Travel News: Tour Japan by train. Blink and you'll miss it. My own reasons for preferring rail travel have been mentioned time and time again. Perhaps it's the romantic notions of Victorian ingenuity and invention or having watched Crime on the Orient Express once too many times, regardless the subconscious reason, I still love train travel. There is one type of train that I have yet to ride, a train that has reached cult status around the world, due to its futuristic nature and the incredible speeds it reaches. You may not have time to enjoy the views in this Japanese speeding bullet train, but it will get you from one side of the country to the other in a fraction of the time it takes most trains or cars. There are several rail cards one can purchase in order to tour the land of the rising sun. For a more complete trip, covering the whole of the country, what you are looking for is the Japan Rail Pass. This little wonderful ticket is only available to tourists and for purchase outside Japan, and offers you coverage on the entire rail network as well as affiliated ferries and buses. You definitely get your money's worth seeing as some same day return tickets cost the same as the week long version of this pass. You also get discounts to selected hotels through this pass. The Japan Rail East Pass lets you explore Greater Tokyo and the locations such as Nagano, Niigita and Misawa. For a more traditional experience of Japan, you might want to try the Japan West Railway Pass (Kansai area). 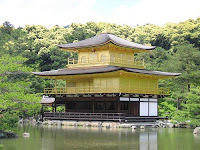 The pass allows you to wonder through areas that are renowned for their traditional character and which allow you to experience Japanese culture as it was in Kyoto, Osaka, Kobe and other wonderful destinations. Confusingly enough, there is another Japan West Railway Pass (Sanyo area), which also covers Osaka, but gives you the opportunity to visit Okinawa and Hiroshima, an experience worth remembering. It is as far to the East as you can go before you hit the west again, culturally speaking, and merits a visit. And if you are going to make the effort of travelling to a country so far away, you might want to be able to see as much of it as possible, with as little hassle as possible.